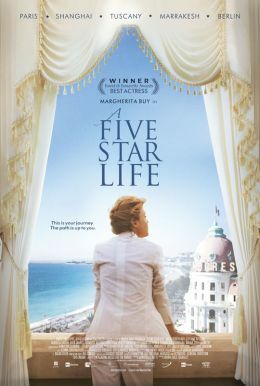 A Five Star Life is the delightful story of one woman’s quest for happiness set against the world’s most stunning cities and opulent hotels. Stylish and independent, Irene is a single career woman in her forties with a job to die for. As a luxury hotel critic, she visits the world’s finest establishments incognito to assess their standards, meticulously judging every detail. Her unattached lifestyle affords her the freedom to jet around the globe, but doesn’t leave her with much of a personal life. When she’s not working, Irene’s world revolves around her absent-minded sister Silvia, two lively young nieces, and best friend—and former lover—Andrea. But when Silvia begins to deal with marital problems and Andrea faces an unexpected life change, Irene’s small support network is fractured, and she struggles to balance a glamorous career with a growing desire for something more.